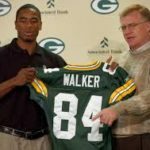 The Packers haven’t traded up in the first round since 2002 when then-GM Mike Sherman went from No. 28 to No. 20 to get wide receiver Javon Walker. But with a new GM (Brian Gutekunst) and a draft that appears to have 13 players separating themselves from the rest, this might be the perfect year to move up from 14. PICK 12 (Buffalo) – The cost would be Nos. 133 and 207. These are compensatory picks at the end of the 4th and 5th rounds. PICK 11 (Miami) – The cost would be Nos. 133 and 138. 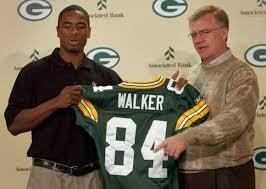 This is the compensatory pick at the end of the 4th round and Green Bay’s own pick in the 5th. PICK 10 (Oakland) – The cost would be Nos. 101 and 172. This is Green Bay’s own 4th round pick and the compensatory pick at the end of the 5th. PICK 9 (San Francisco) – The cost would be No. 76. This is Green Bay’s own 3rd round pick. PICK 8 (Chicago)- The cost would be Nos. 76, 138 and 207. This is Green Bay’s own 3rd and 5th round picks and the compensatory pick at the end of the 6th. PICK 7 (Tampa Bay) – The cost would be Nos. 76, 101 and 207. This is Green Bay’s own 3rd and 4th round picks and the compensatory pick at the end of the 6th. PICK 6 (Indianapolis) – The cost would be Nos. 76, 101, 133 and 174. This is Green Bay’s own 3rd and 4th round picks and the compensatory picks at the end of the 4th and 5th. PICK 5 (Denver) – The cost would be Nos. 45, 172 and 207. This is Green Bay’s own 2nd round pick and the compensatory picks at the end of the 5th and 6th. PICK 4 (Cleveland) – The cost would be Nos. 45 and 101. 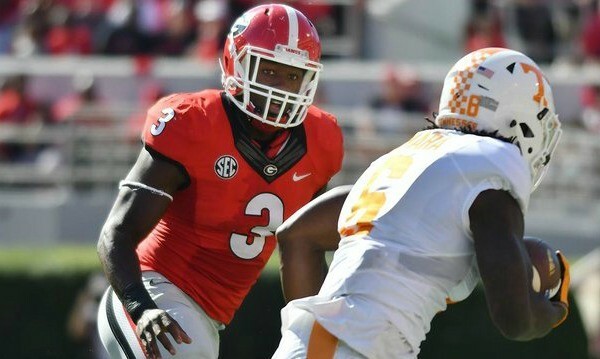 This is Green Bay’s own 2nd and 4th round picks (the Packers would also get either a late 6th or early 7th). While I doubt Gutekunst would even consider moving as high as the top 5, I figured it’s not 100 percent out of the question since Cleveland and Denver might be willing to move out of those spots. There’s no way the Jets will trade down from 3 after already moving up from 6 and the cost to get to 2 would include a future 1. *Compensation is based on an updated chart compiled by Rich Hill in 2017. This has proven to be more accurate than the old Jimmy Johnson chart.